Mo's word for today is ONE. "In a world of 1s and 0s are you a zero, or are you the ONE?" Do you recognize this movie tagline? It's from one of my favorite films The Matrix. Starring Keanu Reeves, the film premiered in 1999, a science fiction fantasy like none before! 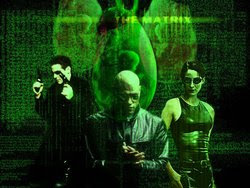 Throughout the film, Morpheus is convinced that Neo is "The ONE" who is meant to save human life from complete destruction. Neo is an anagram for "ONE". In addition "Neo means "new." Neo's real name is Thomas Anderson. He is called Thomas at the beginning of the movie, when he doubts the truth -- that the world as he knows it is not real. He is the "doubting Thomas" of the film. Also, Anderson means "son of man". Hence, Neo Anderson is meant to be, symbolically, the New Son of Man, the Savior of the human race. There are further Biblical references: Trinity, the central female character, and Nebuchadnezzar (the name of Morpheus's ship -- in fact, the name plate on the ship makes reference to a verse in Mark chapter 3). "Zion... So not only is Neo 'the ONE', he has gone from being the doubter to the new son of man." A genuinely fantastic film in all ways. Complete agreement. It is a wonderful movie and I love that kind of "inside baseball" references that you either recognize or find out about and then catch on the next watching. I resisted watching the first movie when it first came out but I enjoyed it later. My daughter liked it so much when she was in high school she had the video and I ended up watching it with her and was glad I did. Great Manic Monday good use of the word ONE! 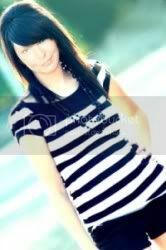 I re-vamped my blog, come check it out! 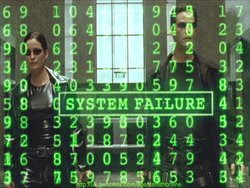 I gotta agree about The Matrix. Good stuff. I like them all to! I wish they could of stay with a all original cast all the way threw with the Oracle. I really liked it, but I have he very bad habit of dissecting the science behind the science fiction. This was the movie that caused us to institute the, "Marilyn is not allowed to talk during movies," rule. Not a bad rule, but I do enjoy a good debate. I guess this is why I have to watch science fiction movies with my dad. Excellent choice! 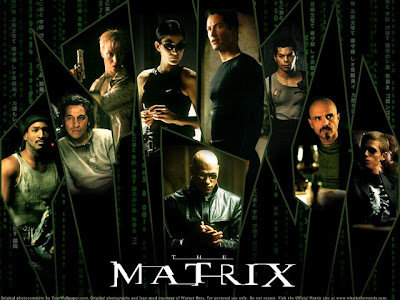 I love the "Matrix" - a very captivating movie, just like your take on the theme! I don't like these "fantastic" movies I am more for realistic stuff, lol ! Just read your post about elections. I wonder why there are only two parties in the US ? It is the only country in our western world who only has two. Even in our little Belgium (only 10 mill inhabitants) we have at least 5 if not more parties so you have more choice. Don't shoot me...I've never seen any of the films. I just wasn't interested in them. But the bits of trivia you explained might cause a trip to the DVD store. The U.S. has a de facto two-party system but other parties include the Libertarian Party, the Constitution Party, and the Green Party.